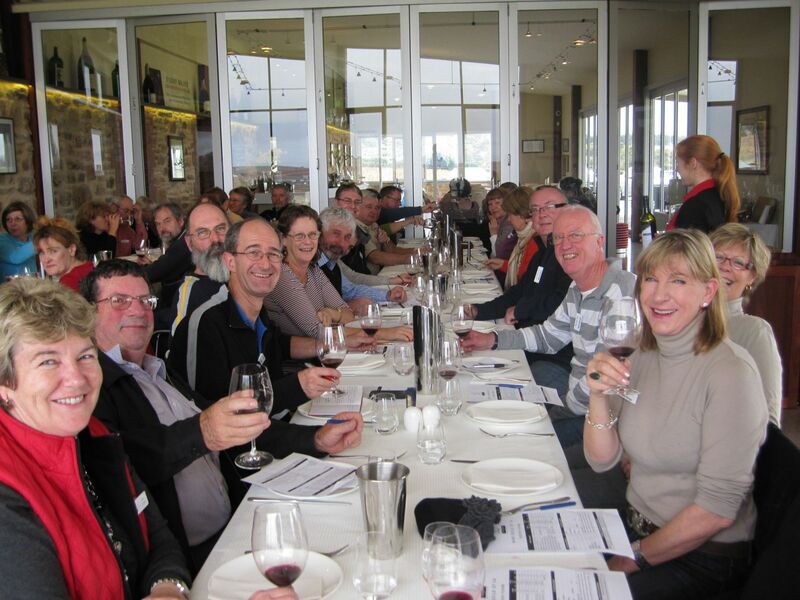 The Wine Guild of SA began in 1963 as the SA branch of the Wine Service Guild of Australia. At that time members were mostly from the catering, tourism and wine sectors in South Australia. It was incorporated in 1986 as a non-political organization to serve the interests of its members who now are mainly wine consumers who are seriously interested in learning more about wine and winemaking. Membership currently stands at about 80. The aim of the Guild is to inform, support and encourage people who consume, sell or serve wine, in order to increase their enjoyment of wine and effectiveness in wine communication. To promote wine knowledge and related activities concerned with the understanding of winemaking and the appreciation and exchange of information about wine. To encourage, stimulate, support and promote the dissemination of information about grape growing, winemaking and health aspects of wine consumption. To promote the consumption of wine in moderation. © 2019 Wine Guild of South Australia Inc.